For nearly a century, Dixie has created products to make lives easier. From the first disposable paper cup to our strong, durable and stylish modern plates, the history of Dixie is one of bringing people together. 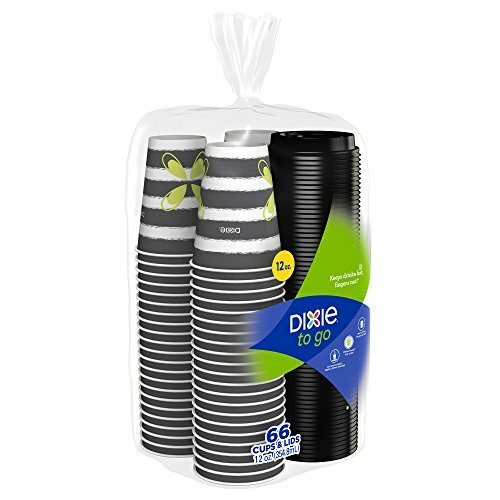 Dixie To Go cups and lids are reliably designed with a leak-resistant Snap-On lid, so you won’t have to hide that coffee stain on your khakis all day. Each cup has insulation and non-slip grip to keep drinks hot, fingers not! And Dixie To Go is coffee-maker friendly, so fits in most single-serve coffee brewers. Plus, insulated Dixie To Go cups can keep cold beverages cold, not just hot beverages hot. View More In Cups & Straws.